This was said on Wednesday in Abidjan by Paolina Massidda, legal counsel representing the victims in the trial. While visiting to explain to her clients their situation in the trial, Mrs. Massidda told a press conference. 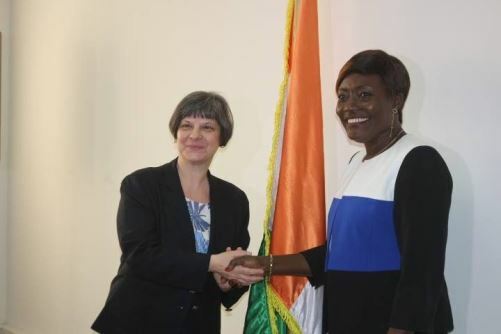 "The victims are deeply disappointed, but they are confident,” she declared, adding that “the appeals chamber has the power to keep Laurent Gbagbo and Blé Goudé in prison, despite their acquittal. According to Mrs. Massidda, the victims are not in favour of a possible release of the former Ivorian president. “If the acquittal of the two accused is confirmed, the victims will have no right to compensation. We will, therefore, argue for the need to keep Mr. Gbagbo in detention. But if his release is confirmed on appeal, we will argue for a conditional release,” she said. Last Friday, the ICC appeals chamber ordered the continued detention of Gbagbo and his co-accused, Blé Goudé, after an appeal by ICC prosecutors against their “acquittal and immediate release” ordered by a panel of judges at The Hague the previous Tuesday. Their “immediate release” has consequently been suspended until February 1, when ICC prosecutors are expected to present new arguments for the trial to resume.